The following are web apps and browser extensions . So far the extensions only work with the Safari web browser, available for Mac and Windows. 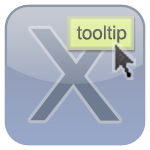 Depending on your settings the extension will automatically install or you'll need to double click the downloaded file to use it. The web apps are tested in Safari but should also work in WebKit browsers like Chrome. And they'll probably also run in just about any modern browser like Firefox 5+ and Internet Explorer 9+. Most geeks already know about Randall Munroe's great webcomic called xkcd. Some may not know that Munroe has a little extra content available with every strip (that sometimes surpasses the actual comic in its pithy humor or wisdom). If you mouseover the comic a tooltip with more info or another joke or a thought about that day's comic will pop up. But it's easy to forget to check it, so I created this extension so I wouldn't miss them anymore. With this installed the tooltip text will appear underneath the comic strip. 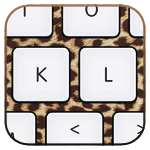 The internet will become 100 times better thanks to this extension which replaces the word "keyboard" with "leopard". This is a quick and dirty version which will replace all instances including those in the HTML code. This means images and links that include the word "keyboard" in their URL's will not work correctly. It also does not correctly match cases. I may try to fix these limitations in a future version.